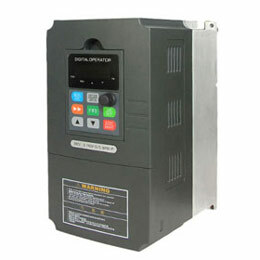 Static (solid state) frequency converter can convert both voltage and frequency to an adjustable value, it is very useful for changing 60hz to 50hz (vice versa) while the input frequency of the electric equipment is not compatible with the power source, especially between different countries. For example, USA, Canada and Philippines is 60 hertz, while China and most of the European countries is 50 hertz, then the solid state frequency converter will change 60 hz to 50 hz if an electric device was manufactured in China but used in Canada. 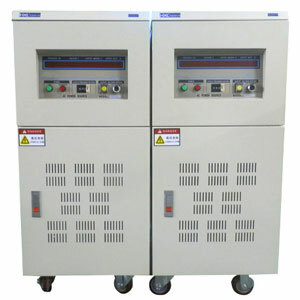 Static frequency converters also use for electric equipments testing where require pure sine wave AC power source. 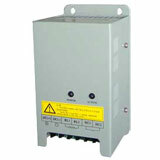 400 hz solid state frequency converters are general used for military, telecommunication facilities and airport. 50 Hz, 60 Hz or 400 Hz input frequency. 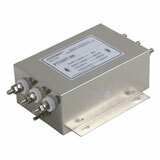 0 - 150V, 0 to 300VAC output frequency for option. 40.0 to 499.9Hz output frequency. 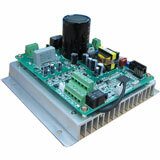 Precise 4 LED digital display output frequency, voltage, ampere & wattage. Full galvanically isolated, no harmonic distortion(EMI EMC). IGBT/PWM technology enhances compact size, low noise, high reliability. Units are equipped with electronic circuit/instant trip breaker/buzzer alarm for over voltage, over current, over temperature,output short protection. 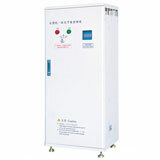 Standard power source for EMI/EMC/safe testing. Computer / monitor / scanner. Transformer / triac / scr testing. Any facilities / instruments have 400 Hz power system.